'Inspector Brahma' is a detective character that created by eminent author Syed Mustafa Siraj. There are two main story in this book, these are- 'Inspector Brahma' and 'Atma Paratma Rahasya'. Author Syed Mustafa is a prominent Bengali writer who born on 14 October 1930. He was a journalist of Anandabazar Patrika of his professional life. His first printed novel- 'Nilgharer Nati', after that 'Pinjor Sohagini', 'Kingbadanti Nayak', 'Hijal kanya', 'Ashmantara', 'Uttar Janhabi', 'Nishiddha Prantar', 'Trinabhumi', 'Premer Pratham Path', 'Banya', 'Nishimrigaya', 'Hanimoon Lodge', 'Kamonar Sukh Dukho', 'Nishilata', 'Ek Bon Parul', 'Krishna Bari Fereni', 'Nrishansa', 'Rodsaheb', 'Janguru', 'Taranginir Chok', 'Basanta Rater Jhor', 'Nishiddha Aranya', 'Tomar Basantadine', 'Ranobhumi' etc. His stories and many books have been translated into all recognized languages of India, even published in many languages of the world including English. 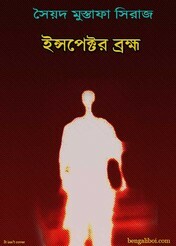 Now I want to share a detective book of his written- 'Inspector Brahma' in pdf file.